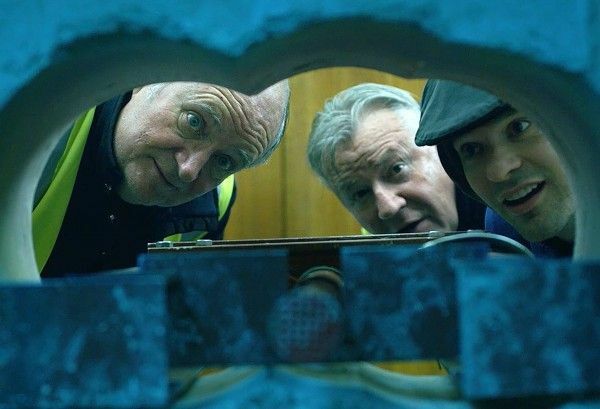 Directed by James Marsh and written by Joe Penhall, the crime drama King of Thieves is based on the real-life story about a crew of retired crooks in their 70s who pull off a major heist in London’s jewelry district. What starts off as a seemingly easy smash-and-grab turns into a nightmare when greed gets the better of them. 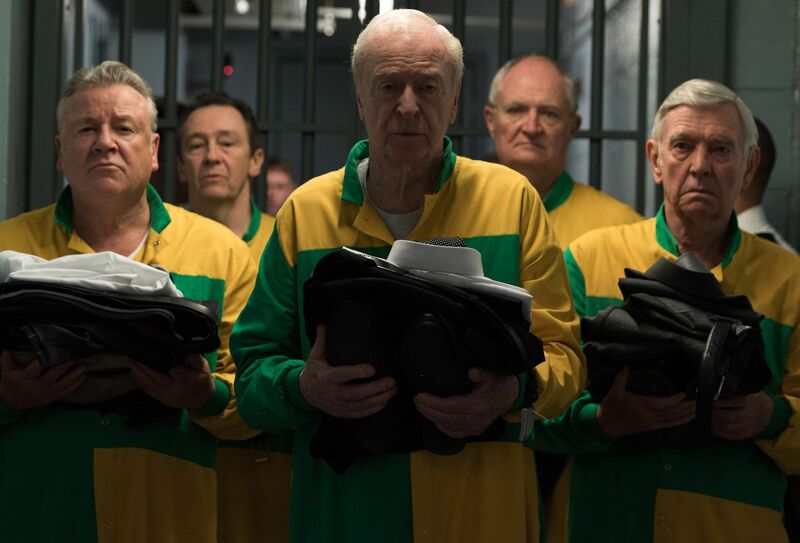 The film stars Michael Caine, Jim Broadbent, Tom Courtenay, Paul Whitehouse, Michael Gambon, Ray Winstone and Charlie Cox. During this 1-on-1 interview with Collider, actor Charlie Cox (who plays Basil, the youngest and most mysterious member of this criminal gang of thieves) talked about how this real-life crime captured the imagination of the public, playing the member of this criminal team that no one knows anything about, to this day, what it was like to be on set with this cast, and how the rehearsal period allowed him to calm his nerves about working with some of the greatest British actors, of all time. He also talked about the shocking cancellation of Daredevil, how Season 4 was ready to go, and not knowing who actually pulled the plug, while still being grateful that they were able to maintain a level of quality throughout three seasons that he’s really proud of, along with getting on stage in the West End with fellow Marvel actor Tom Hiddleston, starting this spring. Collider: When you first heard about this real-life heist committed by a gang of geriatric thieves in 2015, could you have ever imagined that you’d be a part of retelling that story for a film, with this insanely talented cast of actors? CHARLIE COX: Well, no, because when I heard about it, I knew how old they were. As you found out about this story, as it was unfolding, were you surprised when you found out who was responsible? COX: That was what I think captured the imagination of the public, in a way that was unprecedented. Initially, people heard about the robbery, and for the first couple of months, everyone just assumed it was a group of young, very capable, experienced criminals. It was obviously big news because of the amount of money involved, and because of the nature of the crime. It was such an old-fashioned crime. You think of criminals, these days, as being cyber criminals who remove millions of dollars from bank accounts online somehow, and this was a smash-and-grab, drill a hole, grab it and run, but there was something about that, that was interesting to people and entertaining, in that regard. But then, when a couple of months passed, and suddenly there were these rumors and reports that they had found the guys who had done it and they were all in their 70s, it was one of those instances where you almost can’t make a film of it ‘cause it’s too unbelievable. People wouldn’t believe it. It really was a very interesting time in the news in the UK, and I remember following it avidly. Did you know anything about the guy that you play in this? Since he’s the one who got away, is there much of any info. on him? COX: He’s the one that no one really knew anything about and, as far as I know, we still don’t. I know they had, at some point, arrested someone, but I don’t know where they’re at with that court case. When we were making the film, we really knew nothing about him. We didn’t even know his name. Basil was always a pseudonym. It was the name that was used by the other guys, in all of the transcripts, but even they seemed to know that it wasn’t his real name. And we didn’t know how old he was. We know he was younger because you can tell in the video that he’s a bit younger than the other guys, but it was completely up for debate, who he was and what his background was and why he was there. That fun for me ‘cause me, (director) James [Marsh] and Joe Penhall, the writer, got to invent that a little bit. Since you had some artistic license, how did you decide the way you wanted to play him? COX: A lot was already done for me in the script. Joe’s script was incredibly clear and concise, and I drew all of my information from that. But the thing that I wanted to explain was why, if Basil is the one with the key, and he’s the catalyst for the beginning of this robbery, what is it about him? Why can’t he go to criminals his own age, who are physically more capable of this? Why doesn’t he take this to one of his mates, who can get together a similarly capable team and do it in an age appropriate way? On the one hand, you’ve got this guy who’s an alarm specialist, and he’s pretty good with computers and alarms, but then, on the other hand, you’ve got someone who doesn’t have any friends of his own. He doesn’t take this to people who could probably have a better chance of pulling the job off. So, I focused on someone who is a bit of a genius, but also socially awkward enough that he doesn’t have any mates. You’ve talked about how you were surrounded by your heroes, working on this film, and that you’ve never looked more forward to going to work, every day. Was this cast signed on, by the time you were looking at this? Did you know ahead of time, who you’d be working with? COX: Yeah, they were all cast. I was the last one cast, so I knew who was doing it, and just the prospect of being involved was unimaginably exciting to me. So, when my agents called me and said, “They’re interested in you for this,” I couldn’t sleep, I was so excited. What are the moments that you’ll always remember, from this show and from working with this cast? COX: One of the nice things about this film, because of the age of a lot of those other actors, in between takes, people wouldn’t disappear very far from the set because it would take a long time to get back. So, we would end up sitting around and chatting a lot, which often doesn’t happen on movie sets. Often, people go back to their trailers, or they go get coffee, or they do whatever, and on this, we were all just sitting around, and I would listen to these amazing anecdotes from the ‘60s and ‘70s, and hear wonderful stories about their careers, over the span of 50-something years. That was really special. I’ll never forget any of that stuff. 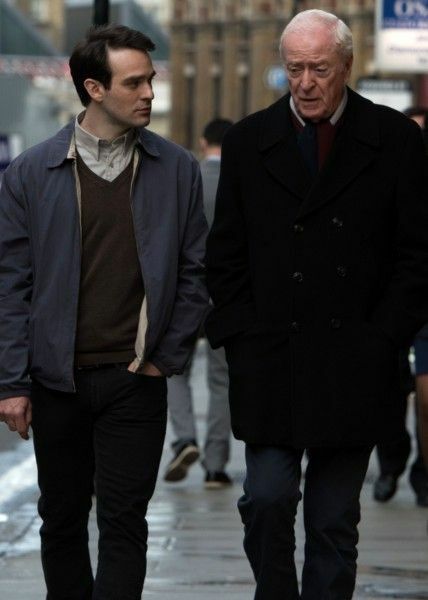 You spent quite a bit of time working just with Michael Caine. What did you learn from watching and working with him? COX: I think you just try to relish it, as much as possible. Obviously, he’s even older, in real life, than the character he plays, and I was immensely impressed with his professionalism. Not that I doubted it, but I was amazed at how he was always incredibly well prepared and on time. I would go into his trailer in the morning quite often and read the scenes with him, a few times, and just tried to soak it all in, really, and learn as much as possible from him. But mainly, I just soaked in the experience of being on set with the guy and knowing that very few actors of my generation have had that experience, so I felt very lucky in that regard.